On Wednesday, October 25 at 11:00am we hosted the New Jersey Anti-Hunger Coalition to kick off #SNAPFeedsNJ, a campagin to fight devastating cuts to federal food assistance. At this event the NJAHC released a brief report about ways SNAP benefits New Jersey residents along with a Congressional fact sheet to show the need for benefits in our district. NJTV has posted a video excerpt with an excellent accompanying article, or you can also watch the press conference in its entirety on our Facebook Page. Federal food assistance pumps $1.2 billion into New Jersey economies, while keeping about 800,000 New Jersey residents – most of them low-income workers, children, senior citizens and people with disabilities – from going hungry. 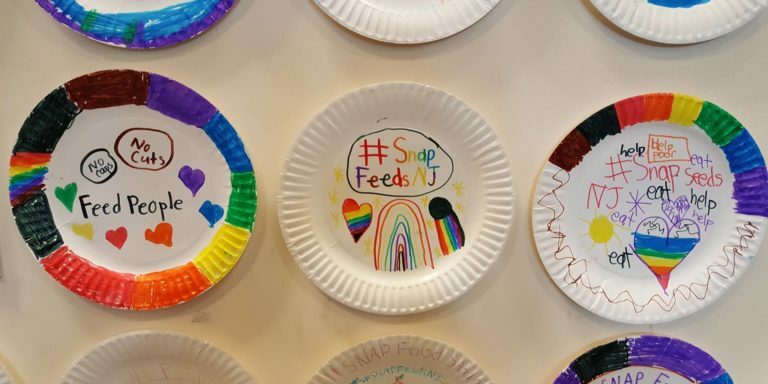 The #SNAPFeedsNJ campaign is designed to mobilize local and state leaders, advocates and residents to protest budget proposals that could force deep cuts to social service aid, including SNAP food assistance. It will feature a three-pronged approach… a “Paper Plate” campaign, a “Thunderclap” social media campaign and a call-in day. For more information or to find out how to participate, click here.